Dockage tester to remove all screenings. Both wheat and screenings are collected in separate trays. Provide manual along with it. Consume less power energy.Enviroment friendly. 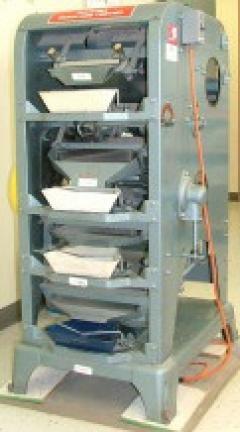 It is the collection of material diverted by an air blower, over the riddle, except threshed and sprouted kernels, over the bottom sieve and in the bottom collection pan. It make the product to the finest state,witout any interruption. Optinal maintainance is alos provide if reuired by customer.